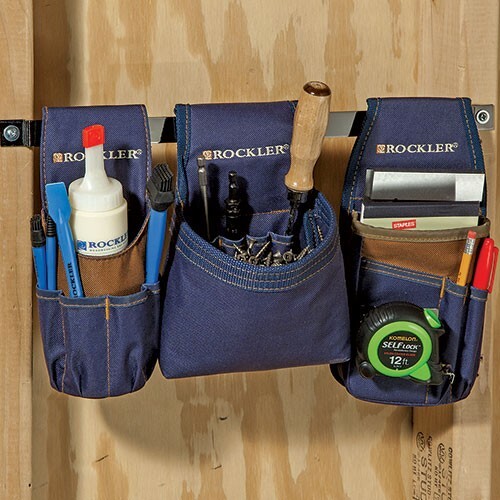 Rockler Woodworking and Hardware has introduced a line of pouches and aprons that deliver extraordinary convenience by keeping tools visible, organized, and easily accessible. 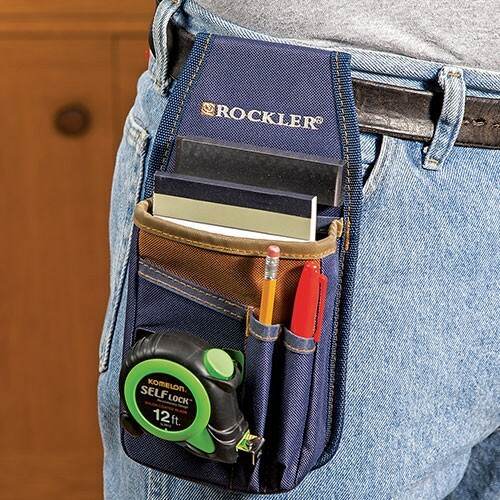 Belt pouches specifically designed to house various types of tool groups such as gluing tools, marking and measuring aids, fasteners, and hand tools enable woodworkers to access all the tools needed for a specific task in a single pouch. 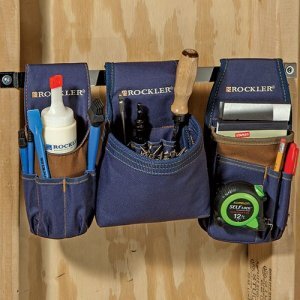 The pouches feature a clip on the back to attach to a tool belt when in use, and can be secured to an 8" or 16" Clip Rail (sold separately) installed on the wall, workbench, or shop stand. 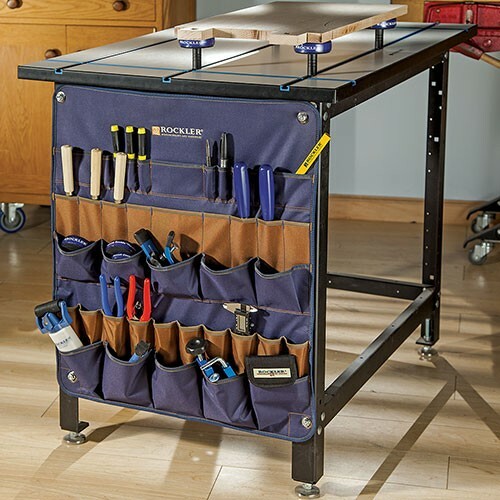 The 24" Shop Stand Apron stores hand tools and is made to hang on shop stands, keeping the tools visible and easily accessible at all times. 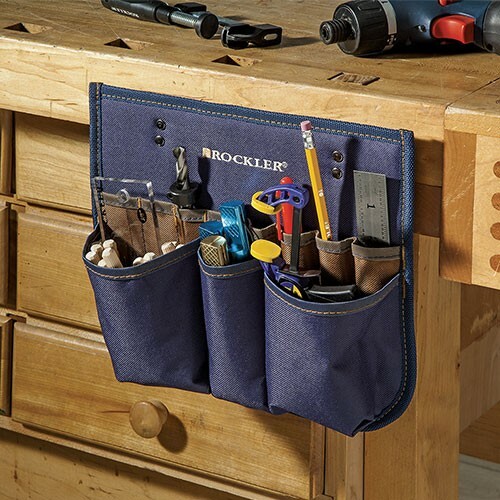 "These new tool pouches and aprons make both toting and storing tools highly convenient," says Scott Ekman, Rockler's Vice President of Marketing. "The fact that there are different pouch sizes and styles to accommodate many different types of tools makes storing and accessing tools instantaneous. People no longer have to empty their tool belt pouches and start over for each type of project since each one is made for a specific group of tools." The tool pouches and aprons are made of heavy-duty fabric with strong, woven straps. Each pouch is reinforced with an internal backer board for added structural rigidity. The Glue Tools, Marking & Measuring, Large Pocket and Tool Pouches feature clips on the back to clip to a tool belt or Clip Rail. The clips and Clip Rails are made of steel, and the Clip Rails feature pre-drilled mounting tabs on the sides for easy installation. 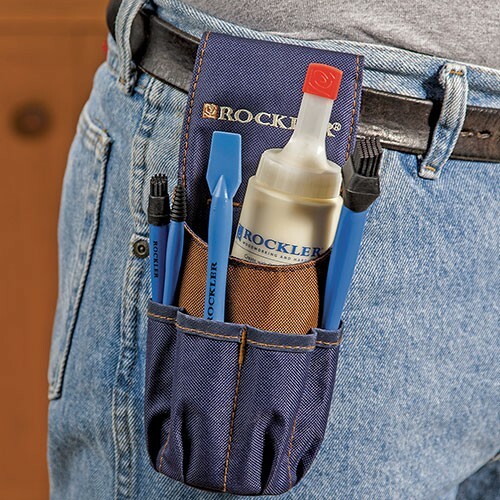 The Tool Pouch with 8" Clip Rail (48052) retails for $12.99, the Glue Pouch (47812) for 6.99, the Marking & Measuring Pouch (49657) for 9.99, the Large Pocket Pouch (46134) for 7.99, the 8" Clip Rail (46079) for 3.99, the 16" Clip Rail (43875) for 4.99, the Tool Belt Apron (47703) for 15.99, and the 24" Shop Stand Apron (45095) for 29.99. Even though these tool belts and aprons seem to be designed for shop use, I would have no problem taking them into the field. When I need to measure a room for crown, or base, I could use a product like the Marking & Measuring Pouch. When installing trim I could easily switch over to the Glue Pouch. The ability to take the pouches and mount them to a work cart using the clip rails really adds to their versatility. And if you need something even larger to hold all your hand tools, the Shop Stand Apron has all the room you need.